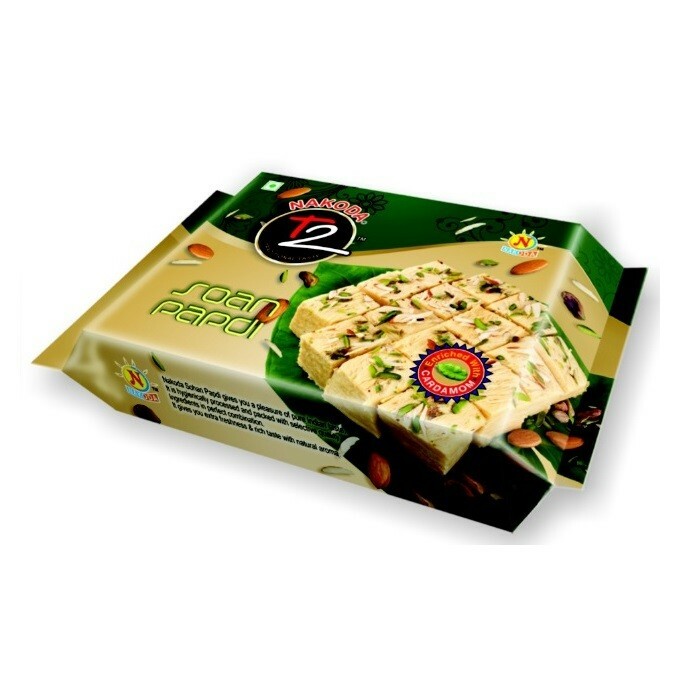 Buy Soan Papdi of Nakoda Foods from Indore online | Authentic Indian Sweet , Savories and Delicacies from the place they originate by Moipot. Soan papdi is the specialty of Nakoda Foods and they are famous for it across the nation. Be it, children or adults, everybody enjoys this dessert with gusto and it is very common to serve these to guests at home on every occasion. Generously garnished with elaichi (cardamom) to give you a power-packed punch of pungent taste in every bite, Moipot brings you the very famous sweet from Indore effortlessly.